Hex Vet focuses on two witches in training, Nan and Clarion. When the Doctor and Nurse are called away to birth manticore triplets, the trainees are in charge! But a bunny with strange eyes has come in all on its own, and they want to figure out what’s going on. 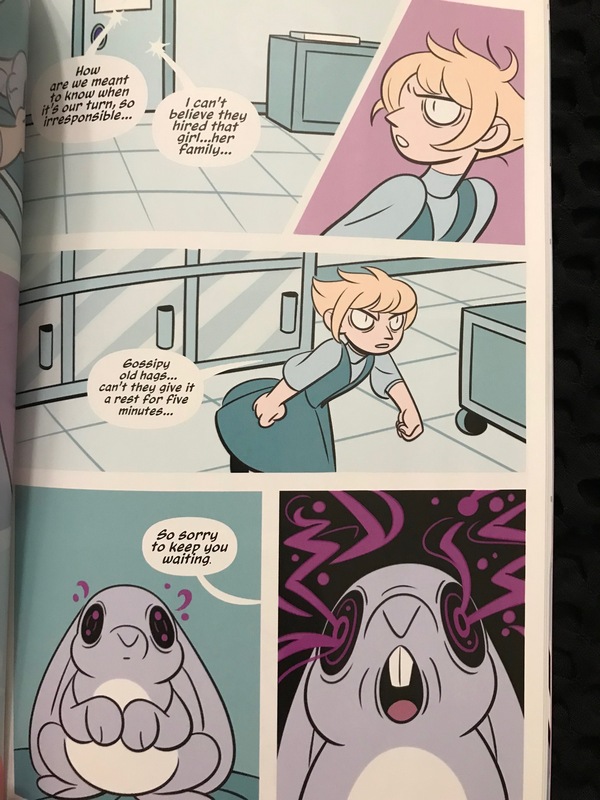 The bunny causes more than a bit of havoc, and the trainees have to handle all of it, and figure out what’s going on with the eyes. This graphic novel was pretty quick for an adult, but it was still an incredibly fun read. I am so glad I picked it up, and I hope that there is more in the future! Also, since this is a Kaboom book, it’s intended for younger audiences. 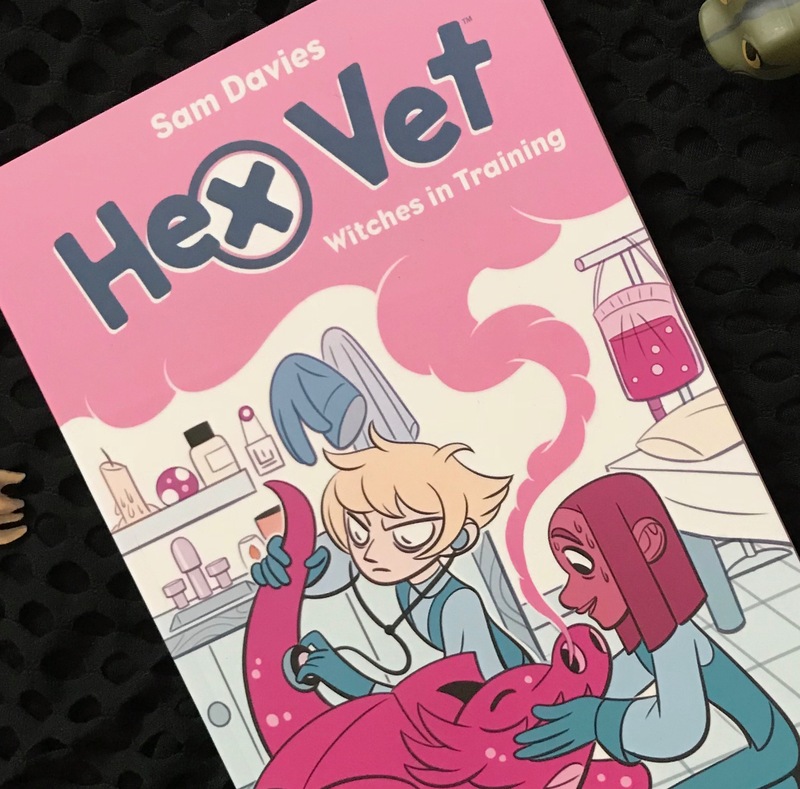 I highly recommend it to first time comic readers, and everyone who likes witches and animals!